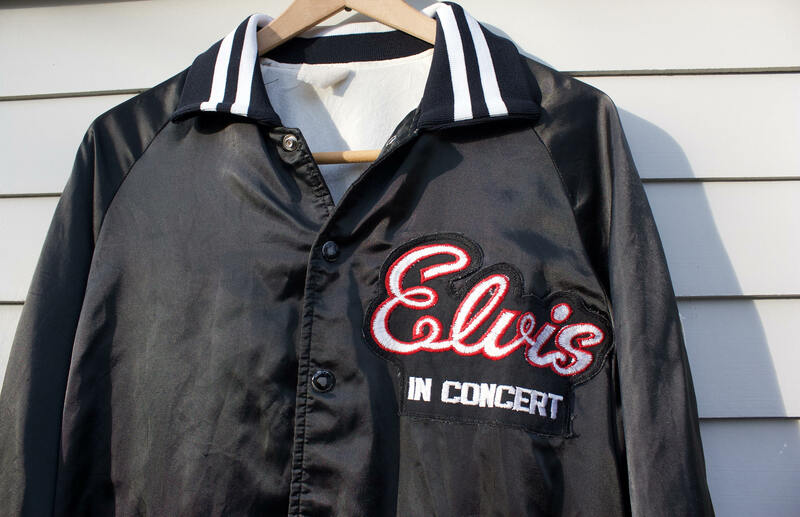 Medium 1980s Elvis in Concert Satin Black Button up Jacket. 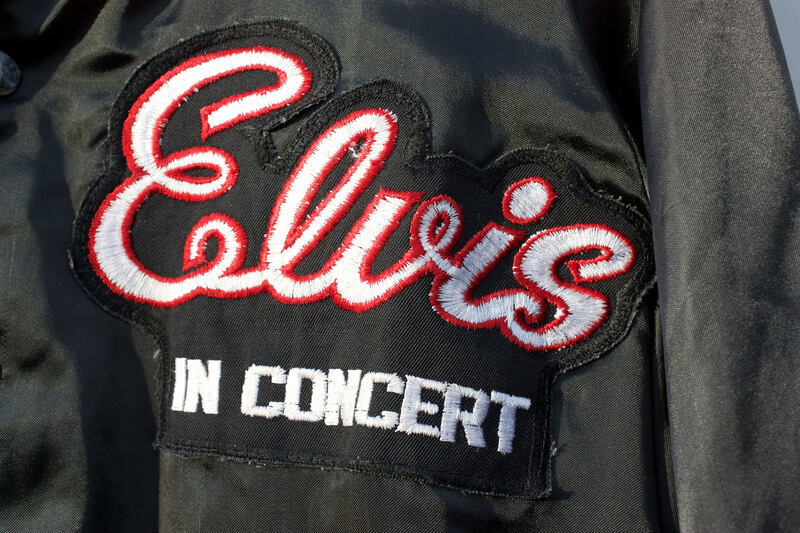 TCB patch on left shoulder. 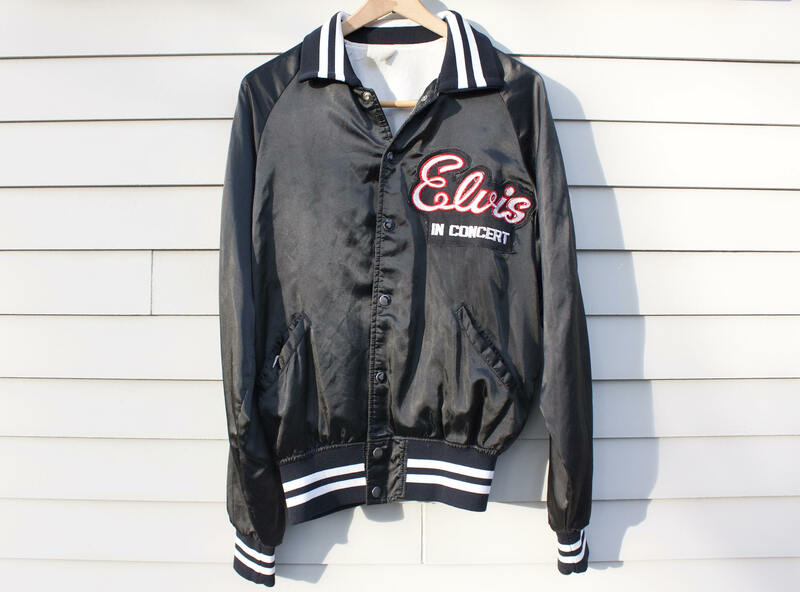 Vintage Elvis in Concert Satin Black Jacket. Made in USA by Howe of Memphis, TN. 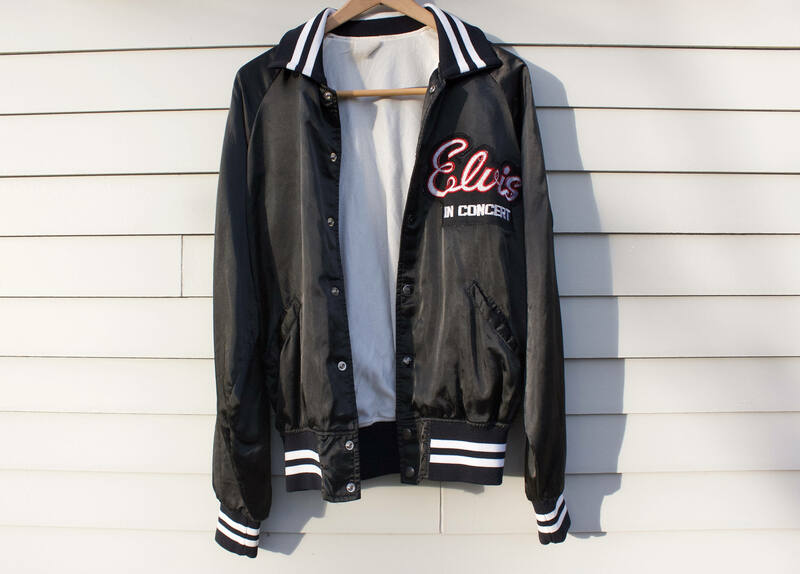 Jacket is 1980s reproduction of the red tour jackets that were given to Elvis' crew on his 1977 tour. Still rare. 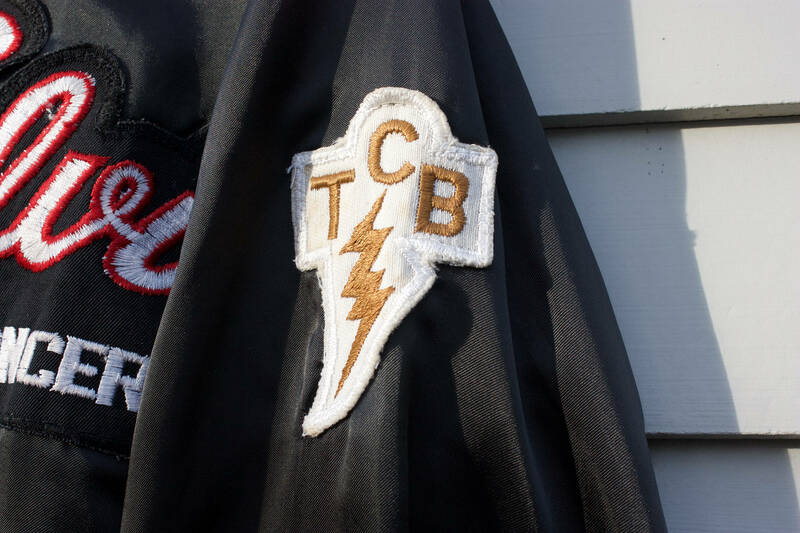 TCB -Takin Care of Business- patch on left shoulder. Condition: Very Good Vintage. White Stripes on collar and waist are very bright. 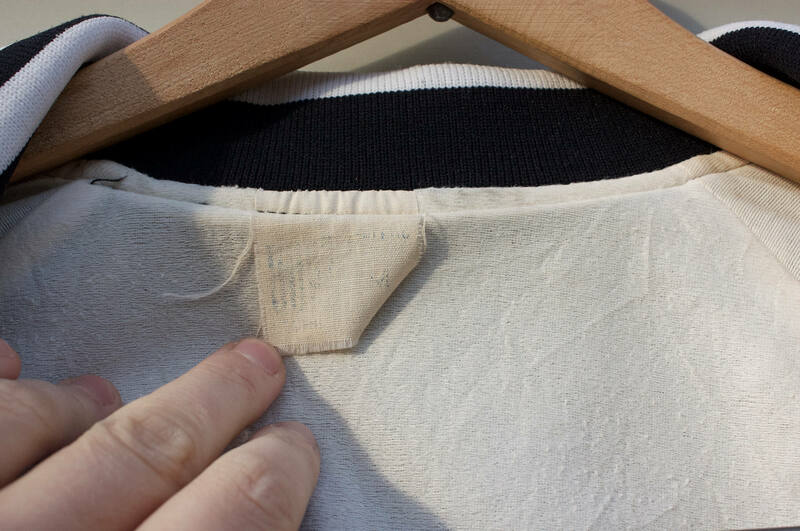 Lining all in good shape. Only condition issue seems to be that pain has chipped from buttons. 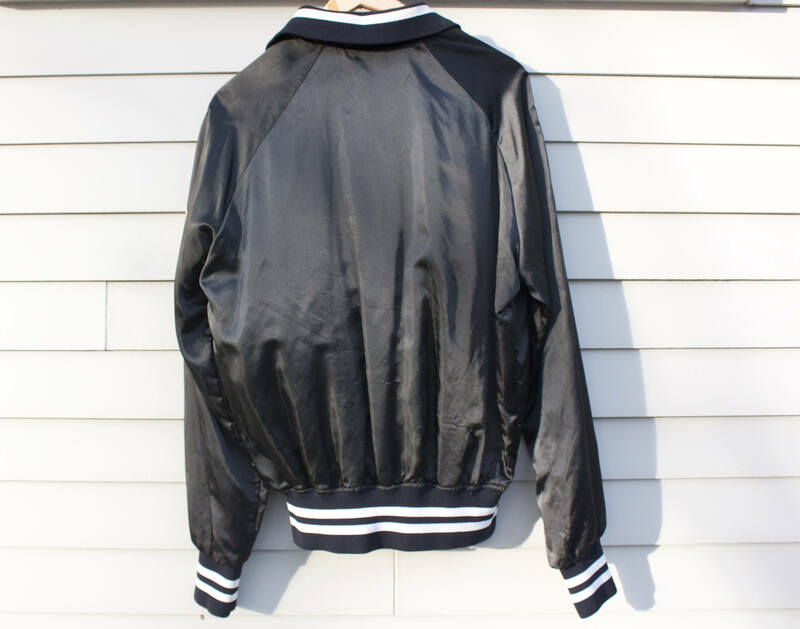 Arm Length (shoulder to cuff): 36"